This is Boris. Boris likes long walks by the beach, delicious dinners and a warm bed. He enjoys his charmed life with his human family and lives without a care in the world. That is until, the neighbour’s mower backfires, or there's fireworks at New Year's, or a thunder storm moves in, or he has to go to the vets for a checkup! This is when Boris becomes very restless and nervous. His fear drives him to behave badly by barking incessantly, scratching at doors or destroying his bed. 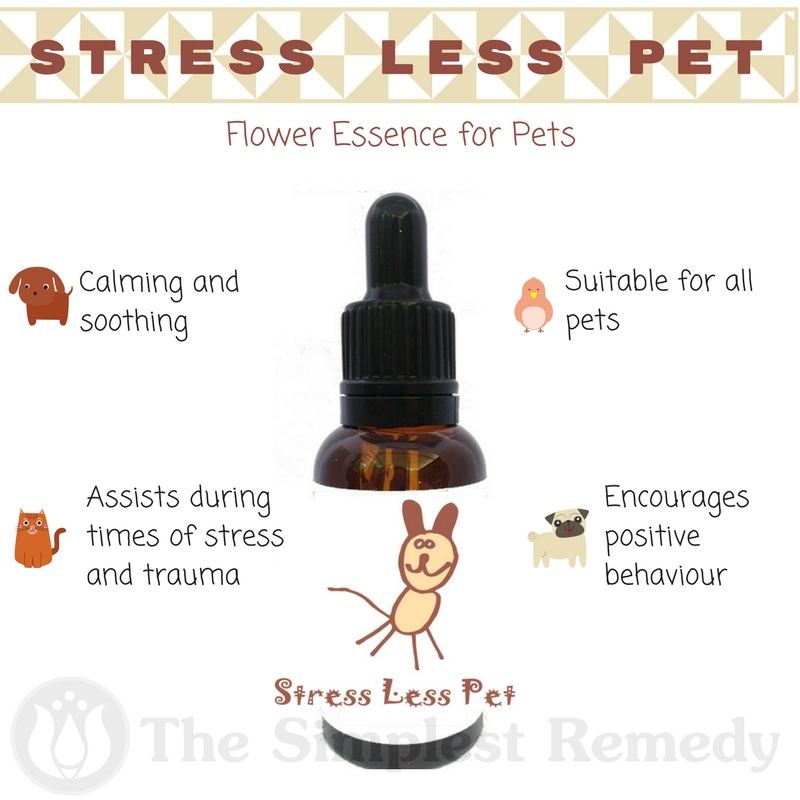 Stress Less Pet helps Boris and his animal friends to remain calm and feel less stressed. 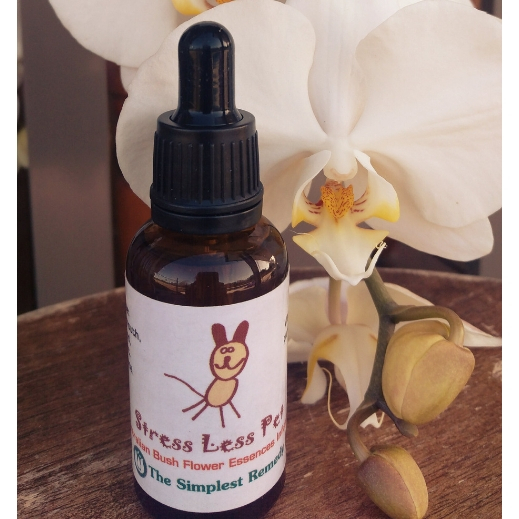 For dogs, cats and all other pets. Contains: Purified water, vibrational essences, brandy.